Discussion in 'Muppet Headlines' started by BoyRaisin2, May 5, 2005. BURBANK, Calif., May 4 /PRNewswire/ -- The Muppets Holding Company, LLC, (MHC) a subsidiary of The Walt Disney Company, announced today that Martin G. Baker has been hired as a consultant for the organization's new entertainment endeavors. A close colleague of the late Muppets creator Jim Henson, Baker has more than 25 years of experience producing Muppets content in all media. Baker's primary responsibilities will be consulting on entertainment initiatives as MHC enters its second year of stewardship of the Muppets brand. The Muppets franchise was purchased by The Walt Disney Company in April 2004 from The Jim Henson Company. Since that time, Baker has utilized his expertise to help integrate the Muppets into The Walt Disney Company family, including serving as producer on the new ABC telefilm "The Muppets' Wizard of Oz," which will air May 20th. Baker's duties will include searching for ways to expand the Muppets' unparalleled talent base as demand for the brand grows. He will be leading a search for more multi-talented performers in the world of puppeteering who will serve as understudies to core Muppets performers and help the company develop new characters and service the growing international demands for the classic characters. "After decades of working with the Muppets, I know how very much they are loved the world over," said Baker. "I am truly delighted to be part of extending Jim Henson's vision for the future of these characters at The Walt Disney Company." "No one could help us continue and grow these heartwarming and humorous Muppet characters better than Martin Baker," remarked Chris Curtin, general manager and vice president of MHC. "He played an invaluable role in helping ensure that the brand's integrity remained true during MHC's first large scale endeavor, 'The Muppets' Wizard of Oz,' and we are thrilled to have him on board as we move forward." Baker has worked with The Jim Henson Company on Muppets productions since 1979. As their executive vice president of production, Baker was integral to the production of such television projects as "The Muppet Show," "Fraggle Rock," "Jim Henson's The Storyteller," "Jim Henson's Secret Life of Toys," "Muppets Tonight," and the NBC TV movie "It's A Very Merry Muppet Christmas Movie." His feature film credits include "The Muppet Movie," "The Great Muppet Caper," "Follow That Bird," "The Dark Crystal," "The Muppet Christmas Carol," "Muppet Treasure Island," "The Adventures of Elmo in Grouchland," and "Muppets From Space." Prior to joining The Jim Henson Company, Baker spent 14 years working for the ATV network in the U.K. The Muppets Holding Company, LLC (MHC) is a subsidiary of The Walt Disney Company (NYSE: DIS). 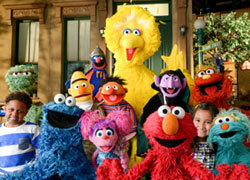 MHC was established in April 2004 when The Walt Disney Company purchased the Muppets from The Jim Henson Company. MHC's mission is to ensure that this beloved, world-class brand franchise entertains audiences of all ages by leveraging Disney's best creative resources and worldwide distribution platforms. MHC plans to develop new content in all arenas, including television, feature films, music, stage plays and theme parks, and to enhance the Muppets global licensing and distribution presence. Thats cool to see someone from back then help out again with something he's done for 14 years. I'm glad to hear about someone who knows more about the muppets other then Jim Henson. This is some good news. He will be leading a search for more multi-talented performers in the world of puppeteering who will serve as understudies to core Muppets performers and help the company develop new characters and service the growing international demands for the classic characters. Interesting little bit there. 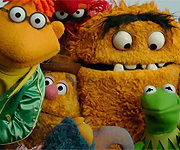 One of the things that has always made the Muppets connect with me is a (mostly) consistent personality for each character - especially in unscripted appearences - so it's a little worrying to have multiple people taking over a single character. However, much of the discussion here over the recent years of new performers has been about voice accuracy rather than character accuracy, so maybe this will shift that focus. So, what I'm saying is...well, I don't know, what i'm saying, but it is an interesting statement. Also is the continued use of "Muppet Holding Company" weird for anyone else. It definitely doesn't give me a warm feeling about current Muppet ownership when they belong to a "Holding Company"
If you re-read the statment the are searching for more performers who will study the core Muppeters performers and then help the company develop new characters and service. Instead of having 5-6 core people (Steve, Dave, Bill, Eric, Kevin, Brian) they want to have more, but they don't plan on handing off any classic character who all already have "homes" (maybe a character will be handed off if a performer retires/dies). They want new performers and new characters -- like how when Bill joined the Muppet crew he added Pepé, Johnny Fiama, Cluelss Morgan, and other new original character, rather than only taking over existing character (However he is now doing small parts as Dr. Teeth, Rowlf, and other of Jim's displaced characters). The Muppet Holding Company is looking to add more performers to the Muppet group but not add new performers to the exisiting characters (unless the character is performerless). The Muppet Holding Company (like The Jim Henson Company) feels that keeping the performers for the characters as constant as possible is important and do not plan on having anything such as hiring 10-diffrent guys to do Kermit and have 5 diffrent Gonzo performers doing the character at in diffrent places or anything like that. They are looking to add more people to their pool of puppeteers. Not add more people to double-up on their exisiting characters. I think it's good news. Well it's always good news when someone who knows the Muppets well is involved in the current scheme of things. It still feels like a dream, a very bad one...this whole Disney thing. I keep thinking that JHC will buy back the Muppets one of these days. As for all sorts of performers doing characters, thats a big no no. That stuff may fly with Statler/Waldorf, chickens, Sweetums, etc...but Pepe IS Bill...Gonzo IS Dave, Kermit IS Steve, Clifford IS Clash, and so on. Eric Jaccobson has definately proven to be the second coming of Frank Oz no matter what anyone says, so I have faith in older characters getting good new performers. I would LOVE to see a whole bunch of new Muppets. What was the last new one, Mo Frackle in 2001? If you re-read the statment the are searching for more performers who will study the core Muppeters performers and then help the company develop new characters and service. Anyhow, nothing to cause panic or concern, just an interesting thing I noticed. Now, if we REALLY had our way, Frank would be president of MCOI and Dave vice president, but that's another story.